In June and July 2017, the British and Irish Lions will play 10 matches in New Zealand, including three test matches against the All Blacks. This eagerly anticipated tour has been on the cards since the Lions last visited Down Under in 2005. The British Lions Tour 2017 kicks off in Toll Stadium, Whangarei on the 3rd June and ends on 8th July in Auckland’s, Eden Park. 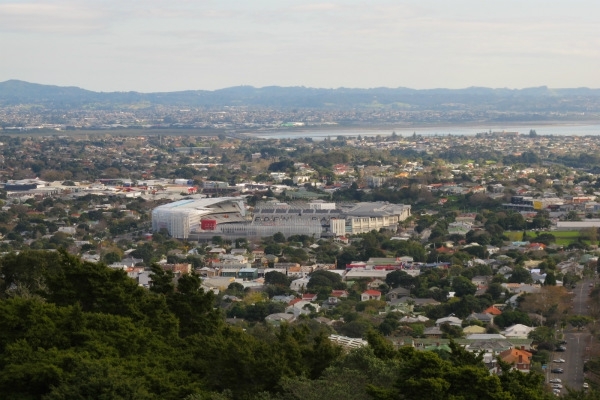 All the British Lions Auckland games will be held at Eden Park, New Zealand’s largest stadium 3 kms from the CBD. The stadium is well served by public transport, with extra buses and trains usually put on to accommodate fans travelling to Eden Park and your ticket to the match will include free public transport. The buzz around the Lions Tour 2017 is already starting to build with rugby enthusiasts booking flights and accommodation to the City of Sails, so it’s safe to say that planning how you will get to the matches well in advance is a wise move as it will be busy. 1. 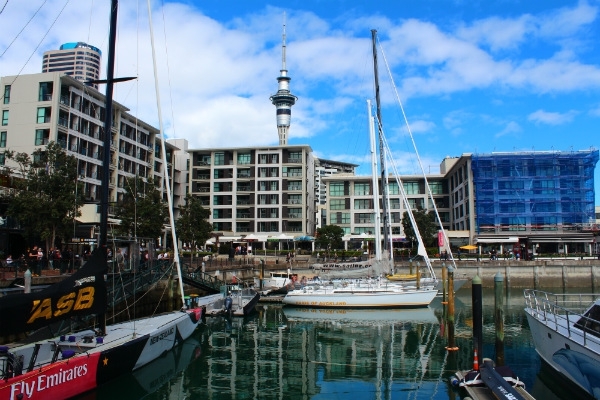 If you’re staying in the Viaduct then O’Hagans Irish Bar in the Viaduct Harbour is a great place to walk along to and watch the British Lions in Auckland. The pub offers tasty pub food, pints of Guinness, and of course big TV screens to catch all the action. 2. The Cavalier Tavern affectionately known as ‘The Cav’ on College Hill is an iconic rugby-watching venue halfway up College Hill but still within walking distance of the downtown area. You’ll feel like you’re back in the motherland with English royalty adorning the walls, great pub fare, beers on tap and several screens on the go to accommodate the cheering crowds. 3. Just down the road from Eden Park is the Kingslander, a roomy pub in a converted warehouse that always draws in plenty of punters for rugby games. Feel close to the action as you cheer on your team in front of the big screens, sample the local brew and mingle with the locals. The first British Lions Auckland game will be on June 7th vs Auckland’s Super Rugby team, 'the Blues'. There are then 17 days until 24th June for the first All Blacks test match, and 14 days until the third All Blacks test match taking place on 8th July. With this much time in between matches, it’s a good idea to know what’s on offer in terms of activities so you can get the most out of this rugby-loving city. If the rugby has given you an adrenalin rush we reckon you’ll need to get another fix pronto. Head up the Sky Tower and take a SkyWalk on the 1.2 metre-wide walkway that wraps around the top of the tower. Suspended 192 metres up in the air with a harness, and no handrails, your friends back home will be impressed and awed you attempted this exciting activity up Auckland’s tallest building. Don’t forget to grab the official photo afterwards! 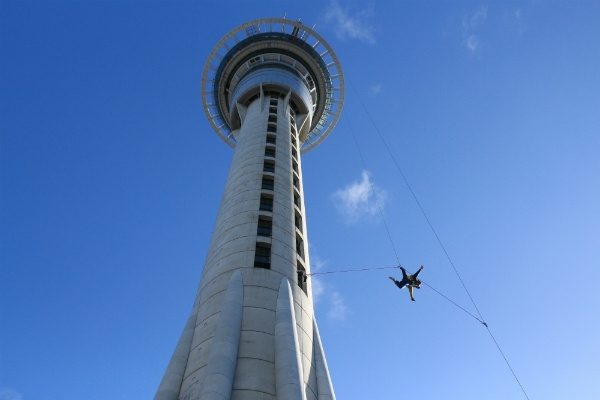 For an even more kudos give the SkyJump a go, a base jump falling 85 kph from the Sky Tower platform to the plaza below. If there’s one thing New Zealand is known for (apart from sheep and kiwifruit) it’s bungy jumping. 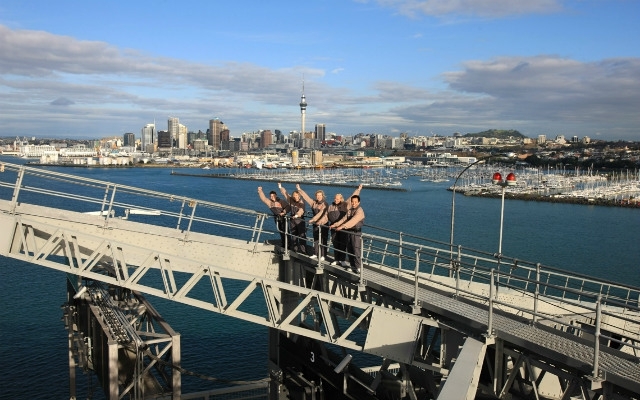 So during your rugby downtime why not take advantage of trying Auckland’s Harbour Bridge Bungy Jump? This is one of AJ Hackett’s classic bungy bridge jumps, and the only ‘Ocean Touch’ in New Zealand. If you’re keen, but unwilling to jump alone, you can do a tandem jump with a buddy. To reach the bungy jump pod hanging beneath the bridge you’ll do the Auckland Bridge Climb, which you can do whether you’re bungy jumping or not. The 90 minute walk heads to the top of the bridge and provides spectacular 360 views of the city and harbour. Just 75 minutes from downtown Auckland you’ll discover a true wildlife sanctuary complete with many different species of New Zealand’s endangered native birds and reptile species. 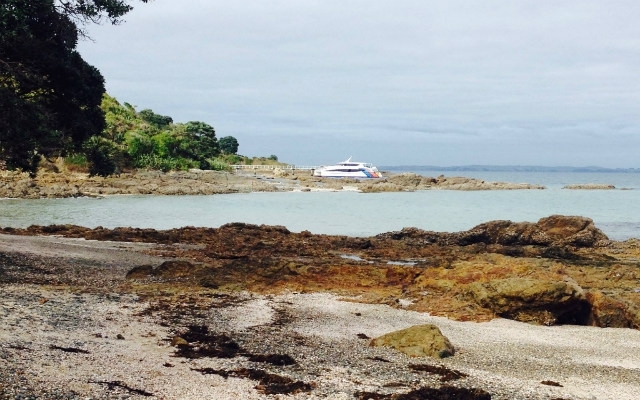 Tiritiri Matangi is one of Auckland’s best kept secrets and a great day trip out of the city. Catch a 360 Discovery Cruise from the ferry building to the island, and take a guided tour with an expert local volunteer on a 2 hour hike through replanted and original bush to learn about the island’s feathered inhabitants. Keen photographers will enjoy up close and personal moments with many of the birds, you’ll love capturing the antics of the cheeky North Island robin, Stitchbirds and Tuis. Find out more about visiting Tiritiri Matangi and what to bring in our travel article. 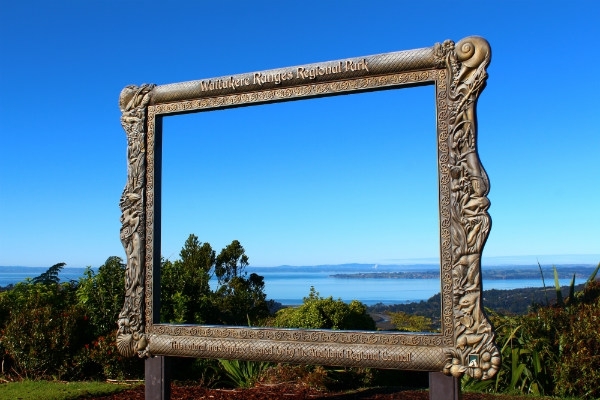 If Tiri has given you a taste for the natural attractions of Auckland then it’s well worth doing some bushwalking in the Waitakere Ranges Regional Park, and you’ll have plenty of time to do so. A self-guided tour with a car rental is a good option as the area isn’t well served by public transport. Head to the Arataki Visitor Centre for a map of the trails and a chat with local guides about what you can see and do afterwards, such as visiting Piha or KareKare beach. Another alternative is to do an organised tour of both bush and beach, which will take in a black sand beach, a bushwalk and throw in a NZ style afternoon tea into the agenda. 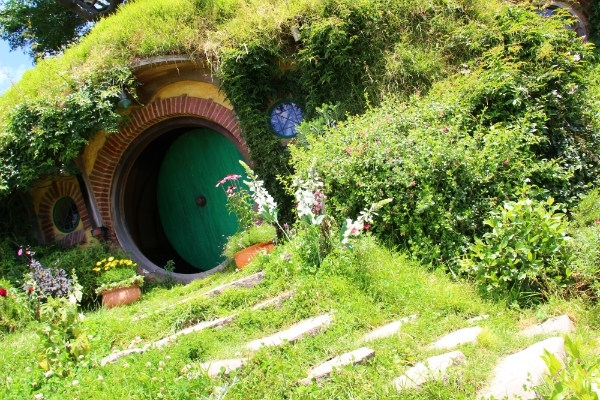 Last but not least while you’re based in Auckland, and if you do have the use of a car, we recommend doing the short two hour drive to Matamata, to join up with a Hobbiton tour. This is a fun day trip, especially if you’re a Lord of the Rings fan. There are also Hobbiton tours from Auckland that offer pickup and drop off from inner city accommodation. Check out more things to do in Auckland so you can plan your time in between watching the exciting games promised by the British Lions 2017 tour.